The Information may be changed without notice and is not guaranteed to be complete, correct, timely, current, or up-to-date. Similar to any printed materials, the Information may become out-of-date. The Author undertakes no obligation to update any Information on the Site; provided, however, that the Author may update the Information at any time without notice in the Author’s sole and absolute discretion. The Author reserves the right to make alterations or deletions to the Information at any time without notice. All opinions expressed on this blog are probably wrong, and should never be taken as medical advice in any form. The information on Loehr Chiropractic & Acupuncture is not intended to substitute for a doctor-patient relationship nor does it constitute medical advice of any kind. Any information found here should not be acted upon without consideration of the primary source material and professional input from one’s own health care professional. Using, accessing, browsing the Site, providing personal or medical information to the Author does not create a physician-patient relationship between you and the Author. Any replies by other commenters including Loehr Chiropractic & Acupuncture contributors also does not constitute a physician-patient relationship. This web site does not accept advertisements, nor does it use affiliate (aka 3rd party) links. Any conference, program, educational material endorsed on Loehr Chiropractic & Acupuncture is done solely because of the merit of the content. If a promotional copy or conference fees are accepted it will be duly noted in the post. (This has never happened). 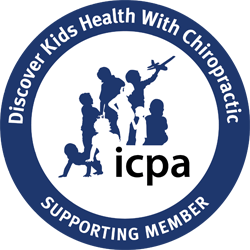 Loehr Chiropractic & Acupuncture is committed to remaining ad free site. Ill-advised by Pascal. Flickr. Taken 17 December 2010. Your health information is protected by federal law. Under the HIPPA Privacy Rule, provides you with the rights to your health information and provides regulations on who can view and receive that information. For full details about your rights under HIPPA, please learn more here.